John Clifton Bogle, Jr., the Vanguard founder who brought low-cost index funds to the masses, died last month at the age of 89. His critics snidely referred to him as “St. Jack,” because they felt his critiques of the mutual fund industry specifically, and Wall Street generally, were often sanctimonious. By now, the Vanguard story is well-known. Believing it was foolish to pay high fees to fund managers trying to outperform the market—since so few actually do—Bogle created the first equity index mutual fund in 1976. The rest is history. At about $5 trillion in assets under management, the Vanguard Group is now the world’s second largest asset manager, and index funds now represent almost 50% of all mutual fund assets. Bogle wrote 13 books devoted to elucidating some basic principles he felt investors should follow: saving regularly, buying and holding investments rather than trying to time the market, diversifying those investments, and staying the course. He also gave us more than a few priceless quotes reflecting fundamental truths, including this gem: “In the fund business, you get what you don’t pay for.” In other words, every dollar not paid to a fund manager or for administrative expenses means an extra dollar of return for investors. For the first few decades of Bogle’s crusade, the principal argument against indexing was that it amounted to a guarantee of “average”—and therefore mediocre—results. But as the years passed and the data rolled in, it became clear that active managers were systematically, over every time period, underperforming index returns. In fact, based on the now indisputable evidence, index funds actually give the investor top-decile returns. Better than average is a mathematical certainty, but the best performance is surprising. We have recognized Bogle’s enormous influence in past articles, in particular, with respect to a simple, reliable model he developed for forecasting 10-year stock and bond returns (Bogle Model) and on the index fund’s 40th anniversary in 2016 (Investors Have Crossed the Indexing Rubicon). To be sure, we profoundly disagree with two of Bogle’s long-held positions—on asset allocation and the benefits of international equities. But although Bogle believed in a 60% stocks/40% bonds asset allocation model and that American investors need not hold any foreign equities, these differences amount to mere quibbles over policy. 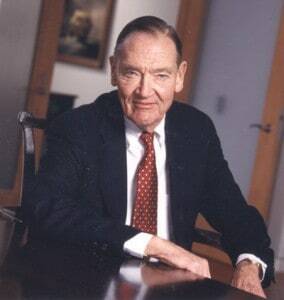 Even more important than the gift of lower costs, and arguably the greatest part of Bogle’s legacy, are some of the fundamental truths and timeless principles that shaped his worldview and formed the foundational pillars of the overall investment wisdom he imparted. Here, we share three. If you never peek from the age of 20 to the age of 70, you’ll rip that first 401(k) statement open at age 70, and I recommend you have a doctor on hand because you’ll go into a dead faint. Your heart might even stop. You’re going to have an amount of money you can’t even imagine. Takeaway: Think in decades, not days. Takeaway: Investor behavior—not investment performance—drives the financial outcomes experienced by most investors. Avoid complexity and rely on simplicity and parsimony, and your investments should flourish. Takeaway: Amen. Thank you, St. Jack Bogle, for helping to crush the crisis of complexity and making the investment world a simpler place for those choosing to abide by this everlasting wisdom.